STEPHENVILLE – After starting the season 7-0 for the second straight year, Tarleton State continues its climb toward the top of the national rankings by moving up one spot to No. 6 in the latest NABC poll. This is the 21st consecutive week the Texans have been nationally ranked since debuting in last year’s poll on Nov. 19. This is the 89th overall week spent in the top 25 since joining the NCAA in 1994. Tarleton put together a pair of wins last week over Arlington Baptist (95-45) and in-region foe St. Mary’s (75-64) to keep its record unblemished at 7-0. The Texans are 7-0 to start the season for the second time under head coach Lonn Reisman – each over the last two seasons. 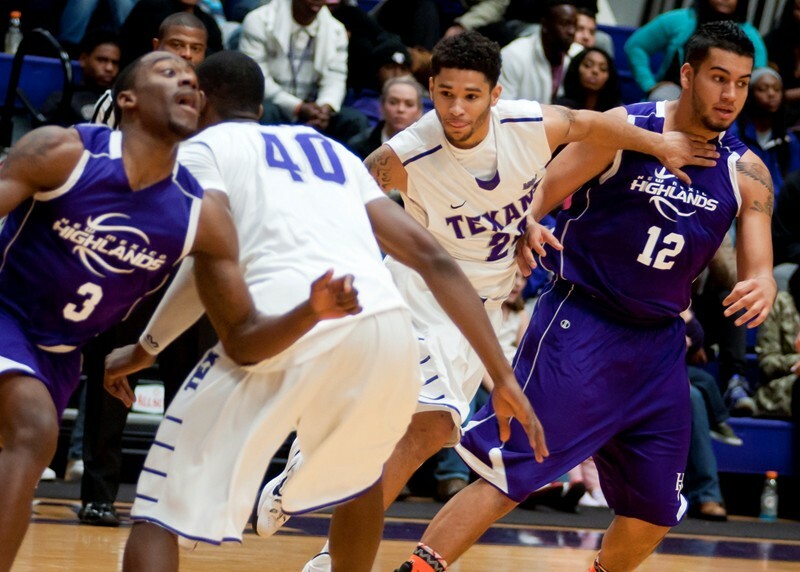 Tarleton is also 35-3 overall since the beginning of last year. The Texans opened the season at the No. 12 spot in the rankings before moving up a total of six spots over the last three weeks. Ahead of Tarleton in the standings are West Liberty, Bellarmine, Florida Southern, Central Missouri and Colorado-Colorado Springs, who were No. 8 behind Tarleton last week. Southern Connecticut State and Indiana, Pa., who were No. 2 and No. 5 a week ago, fell to No. 10 and No. 23, respectively, after suffering losses last week. Tarleton will return to action Monday night when the No. 6 Texans host Paul Quinn College at 7 p.m. in Wisdom Gym for their last home game before heading to Las Vegas for the South Point Holiday Hoops Classic.